For all those times when you missed a lecture you were waiting to catch, or couldn’t visit an exhibition that you were planning to attend cause you couldn’t fix your schedule according to its happening. Here’s to put you to ease an encyclopedic synthesis of all the coming activities that you can now never miss and plan for prior, as per your busy schedule. WorldBuild India an initiative by ITE - ABEC, the proud owners of the world?s largest portfolio of build and design shows, is positioned to witness the ever growing story towards the future of Indian construction. It offers an exhibition for the industry by the industry taking into consideration the current affairs, issues, trends and topics during the duration of the exhibition. Renowned Indian event like CONSTRO by PCERF will be a part of it & is set to cover the entire gamut of products involved in every phase of the construction. It showcases building materials, architectural engineering innovations and technologies that appeal to the key specifiers and influences from within the architectural, building and construction industry. 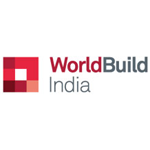 Targeted at Architectural, Structural, Mechanical, Electrical & Plumbing professionals, WorldBuild-India will also offer lucrative opportunities for partnership, collaboration, technology transfer and knowledge sharing, making it the most effective and instrumental platform for companies to leverage on their investment and benefit from a guaranteed return on investment. "Africa's Premier Decor & Design Expo" Decorex Cape Town is an event focusing on designing, architecture and home decor industries .The event focusing on the remodeling and interior design industries. The event aims at promoting and working on their goal to remodel everything using expert supervision and professional guidance. The event includes seminars based on latest trends and technologies to remodel your house and it also includes the types of accessories and furniture that goes well with your house. Visitors can clear their queries by discussing their issues with the professionals and find professional employees who are willing to remodel their properties at an economic cost. This is a must attend for all interior designers and remodeling agencies. Canadian Furniture Show (Canadian Furniture Show) takes place in Toronto, Canada from 24.05 to 26.05.19 at The International Center. The 2019 Show will be held at The International Center, in Mississauga, Ontario from Friday, May 24 to Sunday, May 26, 2019. Since 1972, the Canadian Furniture Show has been owned and produced by the Quebec Furniture Manufacturers’ Association. It is the ONLY national furniture show in the countryand one of the top 5 largest trade shows in Canada. The Canadian Furniture Show brings together industry professionals – manufacturers, retailers, designers, importers, and suppliers – from Canada, the United States and all over the world, to display their latest collections and trends. It is THE place where buying decisions are made for the entire Canadian furniture industry.The 2018 edition of the Show welcomed over 200 exhibitors, including more than 50 Canadian furniture manufacturers. "International Building & Construction Industry Trade Show" Buildex Vancouver is the largest fair for property management, redecorating, interior designing and renovation. This is an excellent event for real estate agencies to remodel their properties and market them. The event enables visitors to connect and network with the topmost building, remodeling professionals. The event involves seminars and conferences based on the latest trends and technologies to remodel your house and it also includes the types of accessories and furniture that goes well with your house. Visitors can get experts opinions on their queries by discussing their issues with the professionals and find professional employees who are willing to remodel their properties at an economic cost. This is a must attend for all interior designers and remodeling industries. "Welcome To Participate Architect & Interior Expo 2019" The Architect & Interior Expo an event focusing on the architecture, remodelling and interior design industries. The event aims at promoting and working on their goal to remodel everything using expert supervision and professional guidance. This is an excellent event for real estate agencies to remodel their properties and market them. The event allows visitors to connect and network with top most building, remodelling and design professionals. The event includes seminars based on latest trends and technologies to remodel your house and it also includes the types of accessories and furniture that goes well with your house. Visitors can clear their queries by discussing their issues with the professionals and find professional employees who are willing to remodel their properties at an economic cost. Archidex Kuala Lumpur 2019"The 19th International Architecture, Interior Design & Building Exhibition" ARCHIDEX is widely recognized as a leading event that draws together South East Asia’s fraternity of architects, interior designers, developers, urban planners, engineers, academicians, students and variously related industry professionals.Highlights Architalent, the Architectural students design competition is an initiative of ARCHIDEX 2018 The Biz@ARCHIDEX 2018 features a series of unique trade presentation sharing the latest insight. The prestigious New Product Award (NPA) and Green Dot Award (GDA) are held to recognise exhibitors. "International trade fair for furniture industry." Manchester Furniture Show provides a platform for many well known and branded companies including Cornell,Baker Furniture, and Furniture Origins etc. and offers them an opportunity to do business in a relaxed way. The exhibitors in the event showcase their products on interior decoration, furniture designing, furniture accessories and many more. The professionals and experts in the field of these visit the show and explore it. "Design Inspired, Business Driven." Index Exhibition is a leading international trade fair and also the country’s largest focused commercial platform on interiors, architecture, materials, and design, which brings together suppliers and buyers in a design atmosphere. The event also features an exhibit of hardware, kitchen & appliances, office, furniture, art & artifacts, materials, furnishings, ceramics, etc. The ICVeX Co.Ltd is a leading and prestigious exhibition organizer accommodates across all dimensions of meetings trade shows event exhibition product launch and international trade fairs in order to support business growth in Yangon Myanmar. The organization is the subsidiary of Index Creative Village Public Company Limited (the 7th World class event agency). With strengths and experiences in operating under creativity including expertise in marketing together with the powerful partner as Forever Group the largest media firm in Myanmar engender ICVex. The organization is backed with the professional and experienced team of exhibition management ensures all jigsaws would come and fit in the right place for both exhibitor and visitors. "The Build & Design Exhibition"Construction Architecture & Interior is the ideal opportunity for your organization to access major developers, contractors and clients procuring work. This is a Build & Design Exhibition of ingenious designs and construction facets. Construction Architecture & Interior Event brings to you an amalgamation of exquisitely informative collection of modern technologies and materials in the field of the construction, architecture and interior designing. Carefully assessed and thoughtfully put together, the event provides an excellent platform to exhibit your products and services, among the best business market and helpful for people planning to add new designs and features to their living space. From top quality exhibits, to insightful demonstrations and more, you will discover thousands of smart, stylish and cost-effective ways to design, build or renovate.Highlights•	Target Audience: Builders, Architects, Interior Designers, Engineers, Contractors•	Featuring : Building Materials, Construction Equipment, Interior Products, Architectural Materials. "The Buid & Design Exhibition 2019"Construction Architecture & Interior is the ideal opportunity for your organization to access major developers, contractors and clients procuring work. This is a Build & Design Exhibition of ingenious designs and construction facets. Construction Architecture & Interior Event brings to you an amalgamation of exquisitely informative collection of modern technologies and materials in the field of the construction, architecture and interior designing. Carefully assessed and thoughtfully put together, the event provides an excellent platform to exhibit your products and services, amongst the best business market and helpful for people planning to add new designs and features to their living space. From top quality exhibits, to insightful demonstrations and more, you will discover thousands of smart, stylish and cost-effective ways to design, build or renovate. "Event for Luxury, Creative & Designer Interior & Exterior Products"Exhibitor Product profile (includes but not restricted to) Antiques & Curios, Aquariums, Artifacts, Bath Tubs, Bathroom Fittings & Accessories, Carpets, Construction & Interior Software,Decorative Lighting & Chandeliers, Designer Lamps & Fans,Doors & Frames, Electrical Accessories,False Ceilings, Fencing, Floor Coverings, Fountains, Furnishing & Furniture Magazines, Furnishing, Furniture, Geysers & Water Heaters,Grill Works,Home Accessories,Home Decorative Lighting,Housing Finance Companies, .. continue readingHighlights•	THE EVENT FOR LUXURY, CREATIVE AND DESIGNER INTERIOR PRODUCTS•	Regional showcase for your Company.Cost-effective way to develop your business potential.•	Meetings with important decision-makers and influences. 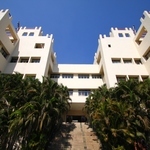 Construction Architecture Interior Expo Coimbatore 2019From office blocks to high-raised constructions; from residential buildings to embassies; the number of forthcoming infrastructure and construction projects across India is vast and wide-ranging. CAI (Construction Architecture & Interior) 2019 is the ideal opportunity for your organisation to access major developers, contractors and clients procuring work. This is a Build & Design Exhibition of ingenious designs and construction facets.CAI brings to you an amalgamation of exquisitely informative collection of modern technologies and materials in the field of the construction, architecture and interior designing. Carefully assessed and thoughtfully put together, the event provides an excellent platform to exhibit your products and services, amongst the best business market and helpful for people planning to add new designs and features to their living space. From top quality exhibits, to insightful demonstrations and more, you will discover thousands of smart, stylish and cost-effective ways to design, build or renovate. From office blocks to high-raised constructions; from residential buildings to embassies; the number of forthcoming infrastructure and construction projects across India is vast and wide-ranging. CAI (Construction Architecture & Interior) 2019 is the ideal opportunity for your organisation to access major developers, contractors and clients procuring work. This is a Build & Design Exhibition of ingenious designs and construction facets. CAI brings to you an amalgamation of exquisitely informative collection of modern technologies and materials in the field of the construction, architecture and interior designing. Carefully assessed and thoughtfully put together, the event provides an excellent platform to exhibit your products and services, amongst the best business market and helpful for people planning to add new designs and features to their living space. From top quality exhibits, to insightful demonstrations and more, you will discover thousands of smart, stylish and cost-effective ways to design, build or renovate. Myanmar Build & Decor is the best source for architecture & interior building materials, interior design, furniture and decor as well as the industry platform for educational and knowledge sharing. Its offer a networking platform to industry players both local and international during this event. Art Antiques & Interiors Fair is a 3-day event being held from 11th January to 13th January 2019 at the Excel London in London, United Kingdom. This event provides the attendees with an opportunity to discover a diversity of periods and styles crossing a variety of disciplines including ceramics, glass, paintings, jwellary as well as British and continental furniture from mid-century design, to Art Deco, silver, decorative collectibles and contemporary pieces. ACETECH is a series of Asia's largest architecture, building materials, design and decor exhibitions, recognised as India’s premier portfolio of events for bringing major international and domestic players from the building and interiors industry. Originated in Mumbai in 2006, the show now also runs in Delhi, Bengaluru and Ahmedabad. The ACETECH series of events annually attracts over 2,800 exhibitors (combined) and showcase the latest products, technologies and services available in the market. "The ultimate all professional Building & Construction material Event in East Asia"Japan Home & Building Show is the largest conglomerate exhibition in Japan for housing and building industry with 40 years of history and reputation from domestic professionals. "The International Kitchen event Cologne" Living Kitchen showcases products like kitchen appliances, kitchen furniture, small electric domestic appliances, kitchen taps and fittings, sinks, kitchen equipment and accessories, finished worktops, kitchen lighting etc. in the Building Construction, Architecture & Designing, Bathroom & Kitchen industries. The January Furniture Show is a trade event aimed to promote the furniture industry and interior designers. The event includes more than 21,000 visitors, 500 exhibitors. The event includes the most innovative product lines and comprehensive collection of several different varieties of goods and services provided by the exhibitors in interior designs and home decor. The visitors can gather in the event and look at hundreds of stalls with a wide range of products and foods. This is a must attend event for all home decor firms and interior designers and architects. People can get inspired from various sources of products from different parts of the country, all gathered under a single roof. This is a must attend for all interior designers and furniture industrialists.